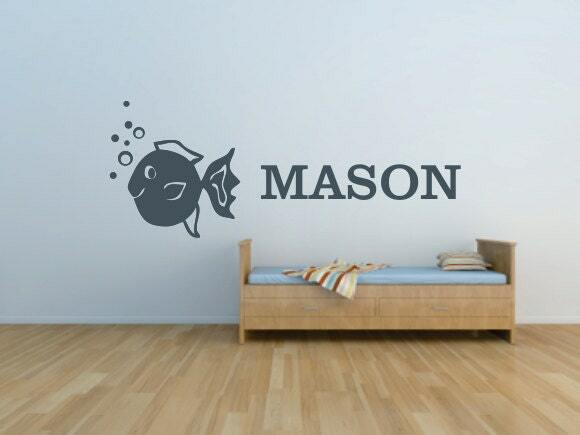 has so many different and unique vinyl wall decals, it was SO hard to choose just one (so she let me pick 2!) 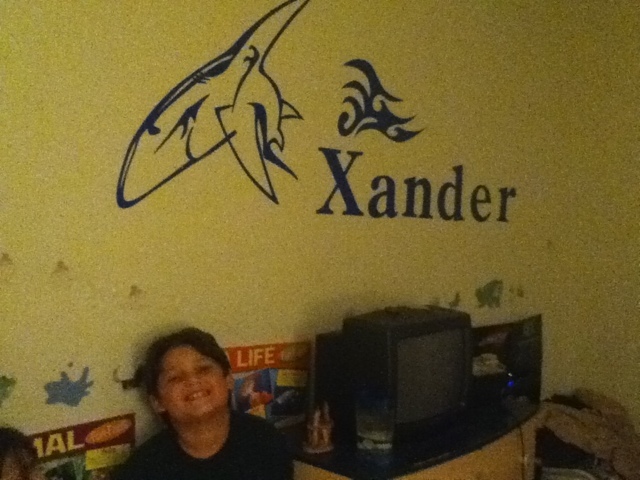 One I am saving for another day, but this is the one Xander picked, the Shark with his name on it, can you tell he loves it? When the decal arrived, I glanced at the instructions and honestly was a little confused. I ended up having to put the decal up in a VERY unconventional way (which I won't explain) but at least I got it up and I think it looks great! Decals are the way to go for room decor, I love that the kids can't knock it off, like they can a picture, and they are so bold. which is great too for even more personalization. I definitely recommend Creations with Vinyl, the owner is super nice, and she is very helpful. Here are a couple other of my favorite designs! At Creations With Vinyl we select only the highest quality vinyl for our decals. In addition to high quality, great prices and fast shipping we also offer custom orders at no additional fees. We want to be your choice for home decoration projects. Plus if you send us a photo after putting your decal on the wall we will send a discount coupon good towards your next purchase.